Just one year ago, Mike Scott was contemplating his place in the NBA. He only played in 18 games during the 2016-17 season as he spent most of that year trying to recover from knee and ankle injuries. Couple that with an off the court incident, many thought the end of Scott’s NBA career would be arriving sooner rather than later. 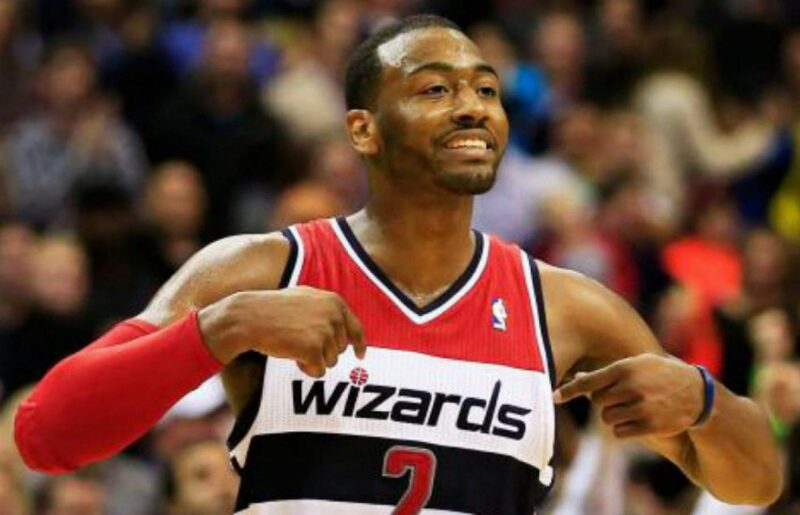 Most shrugged their collective shoulders after the Wizards signed Scott to a one-year deal for the veteran’s minimum. The bar was set so low that any production he could provide would have been an added bonus for one of the league’s worst benches. Boy were we in for a surprise. Not only did Scott exceed expectations, he turned in arguably the best season of his career while also proving to be the most consistent player off the Wizards’ bench. He averaged 8.8 points on a career-best 52.7 percent shooting while knocking down 40.5 percent of his three-point attempts, also a career-best. With Markieff Morris injured to start the season and Jason Smith, who was filling in for Morris also getting dinged up, Scott would get his opportunity earlier than he probably expected. Even as Washington stumbled out of the gate to start the season, Scott surprised most by scoring in double figures in four straight games off the bench against the Warriors, Kings, Suns, and Cavaliers. With Smith out, Scott solidified his role at the backup power forward position and turned in an incredible December. He averaged 11.7 points per game on an unthinkable, 61.5 percent shooting. Scott quickly became the first player off the Wizards’ bench and created an instant spark as he rarely missed his first shot of the game. His absurd production that month was unsustainable though. His numbers didn’t nosedive, but while everyone was eating in February, Scott’s numbers took a hit. He shot a pedestrian 43.2 percent from the field and 29.2 percent from three-point range. Scott’s minutes dipped as well during that time as Scott Brooks went small more often with Otto Porter at the four. Scott was able to pick up his play once again as he caught his stride towards the end of the season. His improved play carried over into the playoffs as he was the team’s second-best player through the first two games of the postseason. He made 14 of his 20 shots from the field through the first two games including four of his five 3-point attempts. He was a big part of why Washington was able to stay within striking distance to steal one of the first two games on the road against the Toronto Raptors. Scott bet on himself and now he’s going to cash out. Last year, Patrick Patterson and Ersan Ilyasova fetched over $5 million per year after putting up similar numbers at a similar age, so Scott should be in line for a nice raise this summer. The bad news for the Wizards is, it would take some serious salary cap gymnastics to keep Scott around at that price. Even if Scott gets a little bit less than that in this year’s tight market, the Wizards would need to use a big chunk of their taxpayer mid-level exception to keep him, which would limit them to offering minimum contracts to everyone else to fill out the roster. A crystal ball would be much more valuable than last year’s game film in determining whether or not it’s worth keeping Scott at the expense of pursuing other free agents worth more than the minimum. If they pay him based on a fluke year, they’ll be making the same mistake they made with Martell Webster. But if they let him walk, they’ll be in the same position they were last season, betting on their ability to find a productive player willing to bet on themselves for a year.